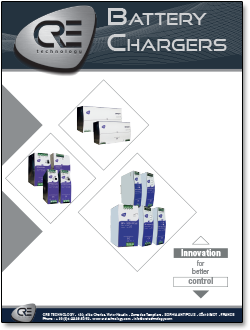 CRE’s 12 Volt BP+ 305 Range battery charger offers a range of input voltages in monophase. 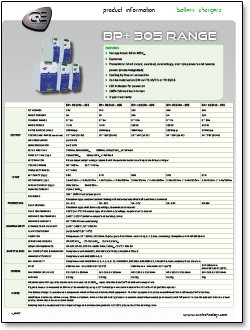 This model is rated at 12V of DC voltage with a rated current of 10A and a current range of 0 - 10A. 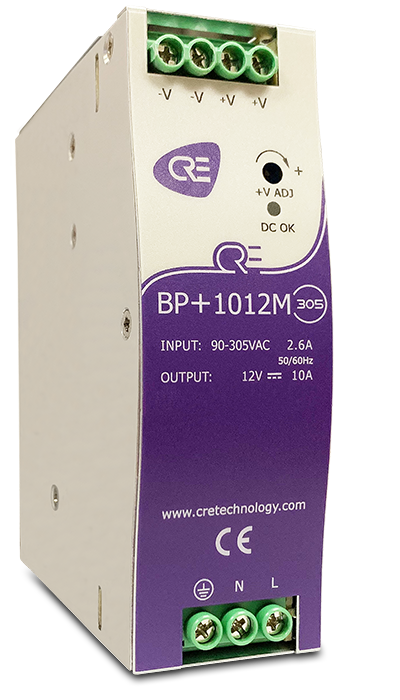 Rated power is 120W with a maximum ripple & noise of 100mVp-p. Ripple and noise are measured at 20MHz of bandwidth by using a 12” twisted pair wire terminated with a 0.1 uf & 47 uf parallel capacitor. 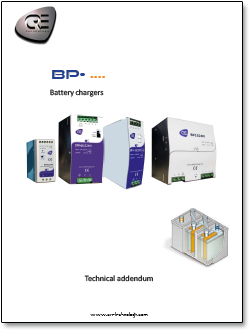 Charger dimensions are 1.57” (40mm) W x 4.93” (125.2mm) H x 4.47” (113.5mm) D.
Click here to purchase the BP+1012M-305 Battery Charger in the MurCal web store.